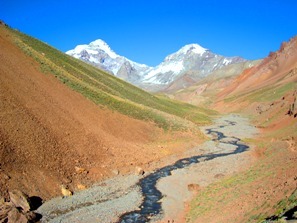 Trek South America with Ian Taylor Trekking. If you are thinking of trekking or climbing in South America, you will be greeted by some of the worlds greatest mountains. You will go on amazing cultural journey’s that could change your life. At Ian Taylor Trekking we specialize in a wide range of adventures to Machu Picchu in Peru, climbs in Bolivia, Argentina and Patagonia and Peru. Watch our Inca trail video below, get in touch and find out more about taking that first adventure with us in South America. It’s colonial past, mixed with modern day society, the rich Incan history along with beautiful and spectacular mountains ranges gives you an adventure travel experience like no other. We have the best acclimatization on all our trips giving you the best chance at making a safe and amazing journey to the high Andean mountain range in South America. We run annual trips on the traditional 4 day Inca Trail in Peru as well as the classic 5 day Inca Trail trek and 6 day Salkantay routes ending in Machu Picchu. 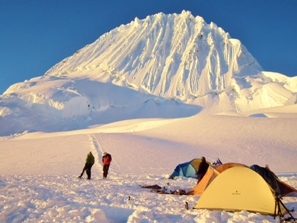 We also have the amazing Huayhuash trek in the Cordillera Blanca in northern Peru. This region of Peru is famous for it’s dramatic high mountains similar to the Himalaya’s. 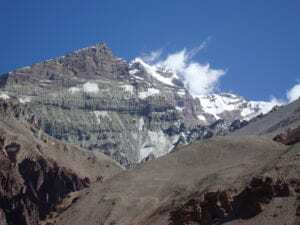 We also run climbs to Peru’s highest peak, Huascaran. The Cordillera Blanca is home to Alpamayo, one of the most beautiful mountains in the world. We also run group trips to Patagonia. The Torres del paine region of Patagonia has it all. You can do a short trek on the classic ‘W’ trail, or the unique and more challenging paso Oggioni extreme trek our favorite trip is the full Circuit trek around the Torres del paine region. We have years of experience working with our teams on the ground offering professional, safe and quality trips in South America. 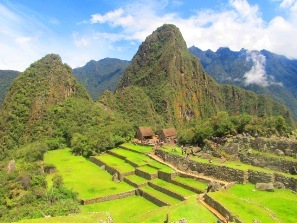 We have had great success on these mountains and treks on the Inca trail to Machu Picchu. We keep striving to be the best we can be for you. We offer world class support to all of our clients before and during your chosen adventure in South America. We ensure you have the correct training and information in preparation to make your South American adventure a real success and life changing experience. Trekking in South America will change your life. It changed the course of my life back in 2005 and still inspires and challenges me every time to return to this wonderful continent. Trek South America with us and encounter something new and inspiring on this magical continent.